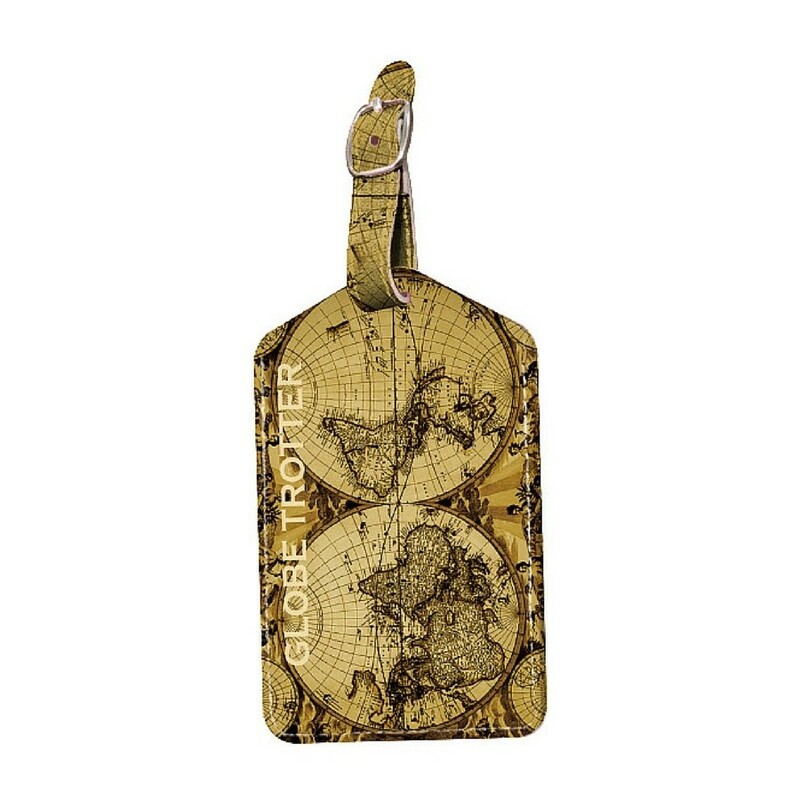 Put your sunglasses in this world map case and you’ll be reminded about your travels or prompted to book your next holiday whenever you put your glasses on. 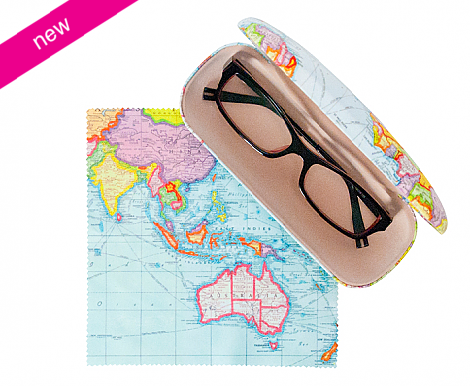 It comes with world map cleaning cloth too so you can polish your rose-tinted lenses. $24.95 from Australian online retailer Annabel Trends. 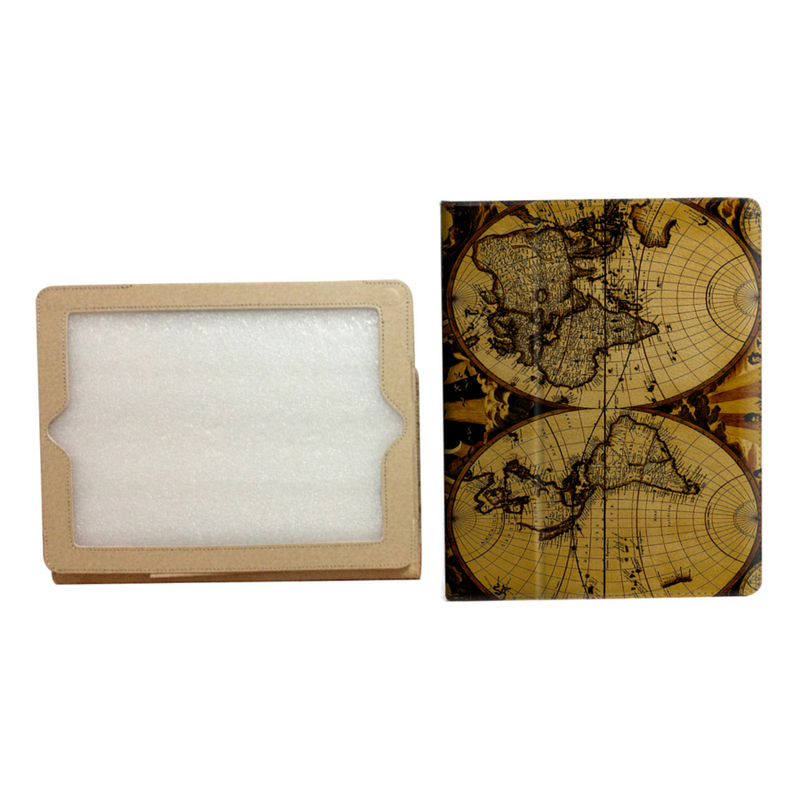 Protect your iPad while projecting your globetrotting credentials with this iPad cover from deva Australia. Cushioning protects it from damage on your travels and it opens up to form a stand so you can watch your favourite shows while on the go. $19.95 from Australian online retailer Ciao Bella Travel. The world is at your feet, or rather on your feet, with these cool, quirky shoes from Pimpos. 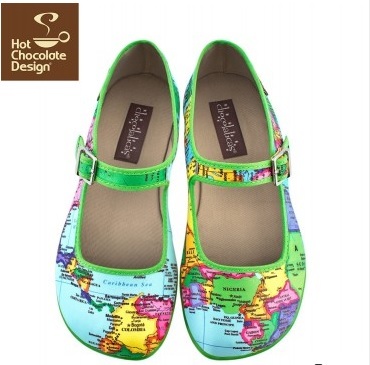 Part of the Chocolaticas range, they are made in Venezuela, are ethically produced and vegan friendly. Take on the world one step at a time. $89 from Pimpos Australia. You can never have too many luggage tags. 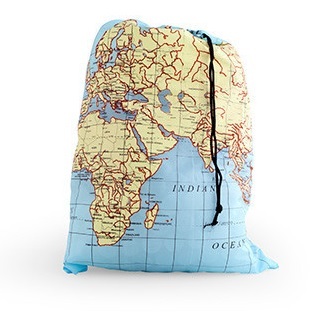 This all leather one has a gorgeous old-world look with it’s vintage world map print. $12.95 from Australian online retailer Ciao Bella Travel. 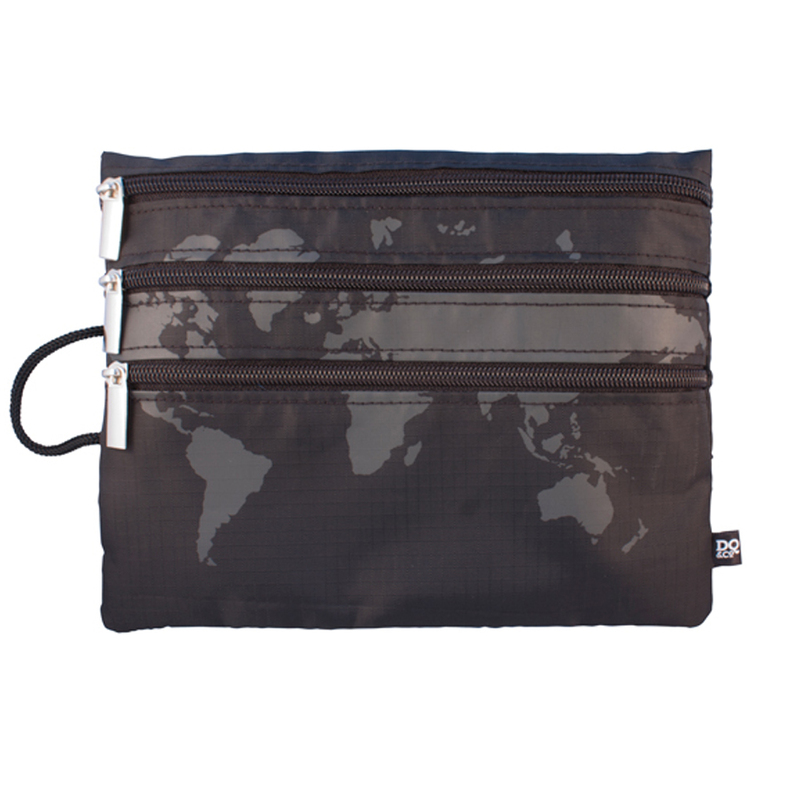 Pack you travel accessories in this little three-zip pouch and you won’t lose them in your bag. Great in your carry-on luggage for items you need inflight, like a pen, tissues, lip balm, mints etc. Just whip it out and hang it from the seat in front or pop it in the seat pocket. $19.95 from Australian online retailer Ciao Bella Travel. 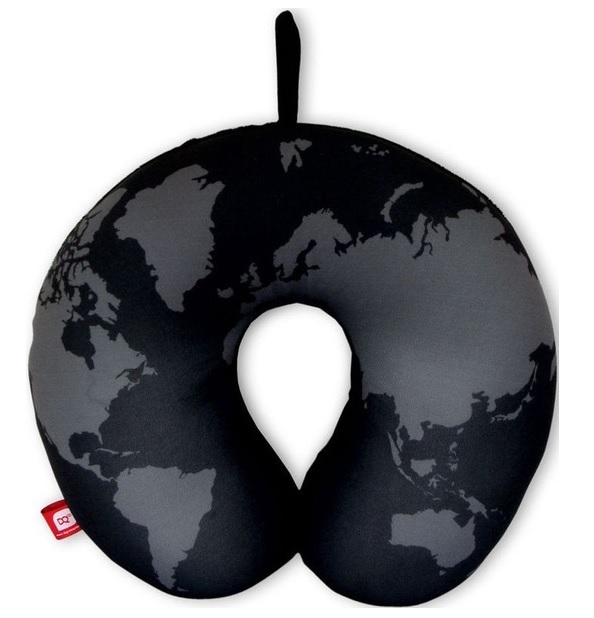 Put your world-weary head to rest on this DQ&Co map print neck pillow as you nod off to sleep on your next train, plane or automobile. Bead-filled for squishy comfort its monochrome colour won’t show the dirt too much. $24.95 from Australian online retailer Jetsetter. Where in the world is your suitcase? Hopefully in the same place as you. 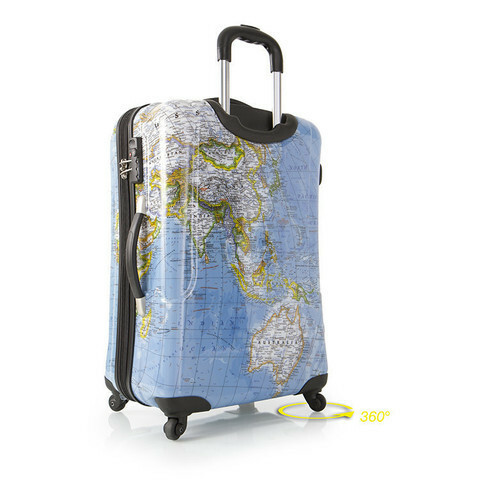 At least this ‘worldly’ suitcase by Heys America will standout at the baggage carousel for easy identification and quick getaway. Currently on sale at US$139 at US online retailer Wayfair. They only ship to America, but set up an Australia Post ShopMate account and have it delivered to Australia. 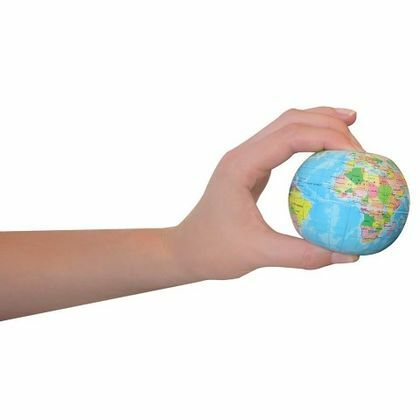 Special thanks to my travel buddies at Bike Walk Eat and Marian McGuinness for their globe-printed gifts which inspired this post. 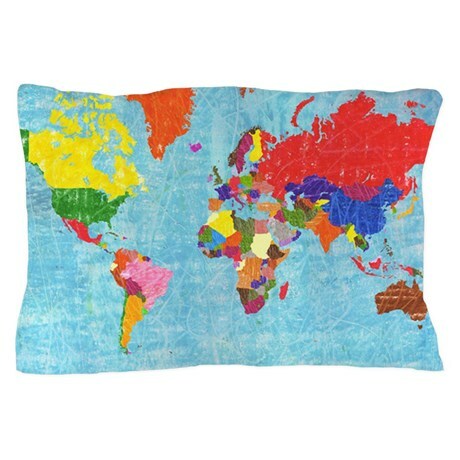 This entry was posted in Travel, Travel Accessories & Gadgets, Travel Gifts and tagged atlas-printed accessories, glasses case, iPad cover, luggage tag, neck pillow, travel accessories, travel laundry bag, travel pillowcase, travel shoes, world map-printed accessories. Bookmark the permalink. Pleased to see those shoes on the list! Thought you might be! I was you who alerted me to them a couple of years ago. I love some of their other styles too! I have the shoes. I love them! I didn’t realise you had a pair Lee. They are so cool. I think Bev has a pair too. I love their designs. I also have a pineapple pair – each shoe in the pair is different. I get a lot of comments on them!